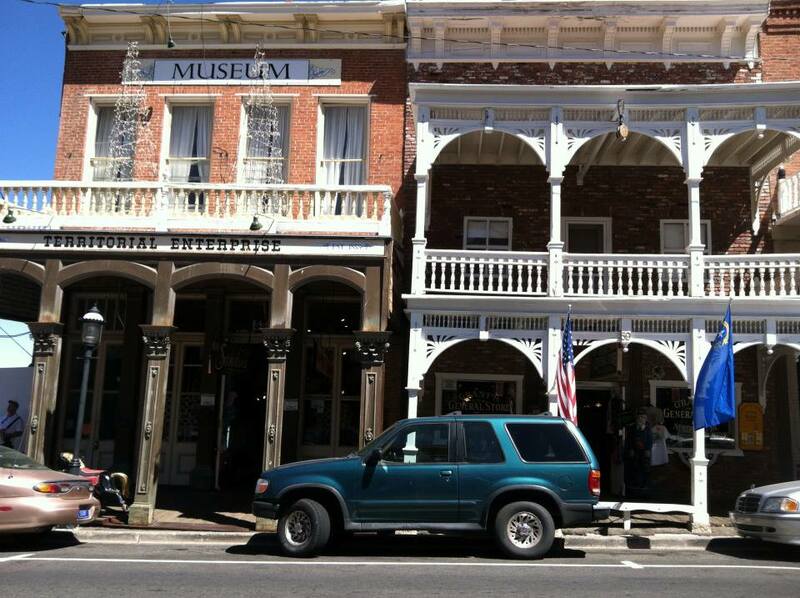 Being from the East Coast, there’s a whole lot of history from the West that is fascinating to me; our trip to Nevada and California only intrigued me even more. I’m sure my ideas of the Wild West are a bit glamorized (think “Bobby Brady’s fetish with Jesse James”), but I admit, it still holds this magnetic draw on me. Maybe it was seeing Dances with Wolves as a teenager…I wanted to be like Stands-With-Fist, too! My husband is a western-movie buff, and I definitely caught some of his love (that sort of thing has happened a lot since we have been married!). 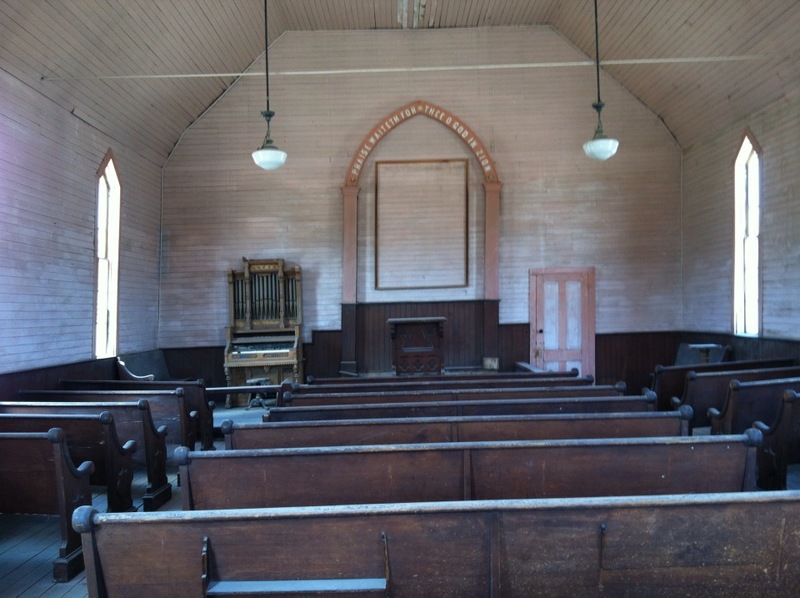 About a year or so ago, we started watching the series on AMC “Hell on Wheels,” which is about a post-Civil-War town out west during the building of the Transcontinental Railroad around 1865. We DVRed the series and did a marathon viewing of Season 1. We liked this format so much that we did the same for Season 2, which we just got around to watching a few weeks ago. (FYI: Season 3 premiere is this Saturday night!) I am sure this also had something to do my recent obsession with the Wild West. (**Disclaimer: I have to warn you – “Hell on Wheels” is for mature audiences. It has mild profanity, lots of blood and shooting, and some sexual content – though mostly implications rather than anything graphic). So, while I know TV is not the same as real life, my pump was primed to go out to the Wild West. 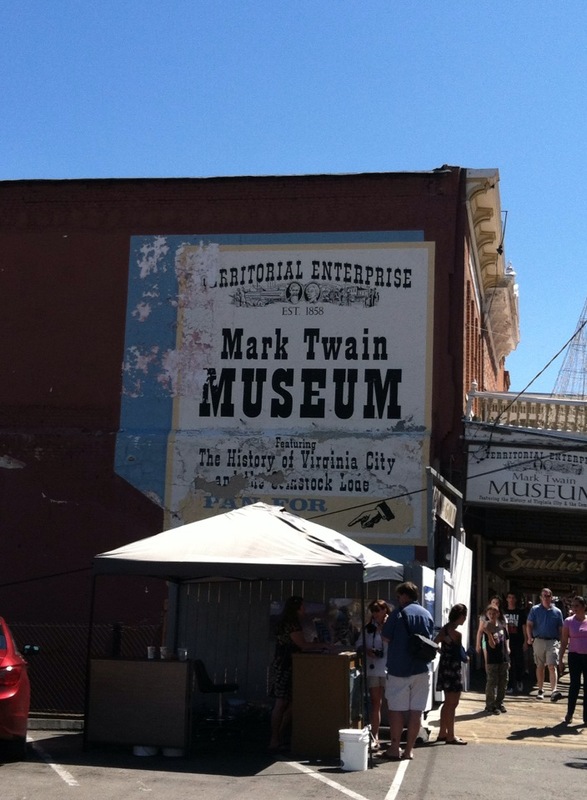 When we first landed in Reno, we took the scenic route to Lake Tahoe and stopped in Virginia City, Nevada. 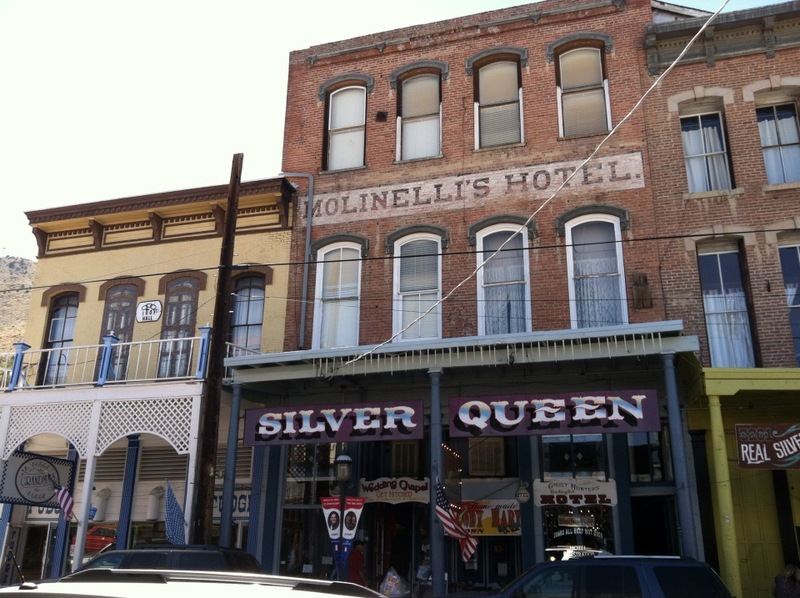 Here are a few “fun facts” (said ironically) about VC: this town cropped up as a silver mining town and generated loads of money – millions (billions in our money today). 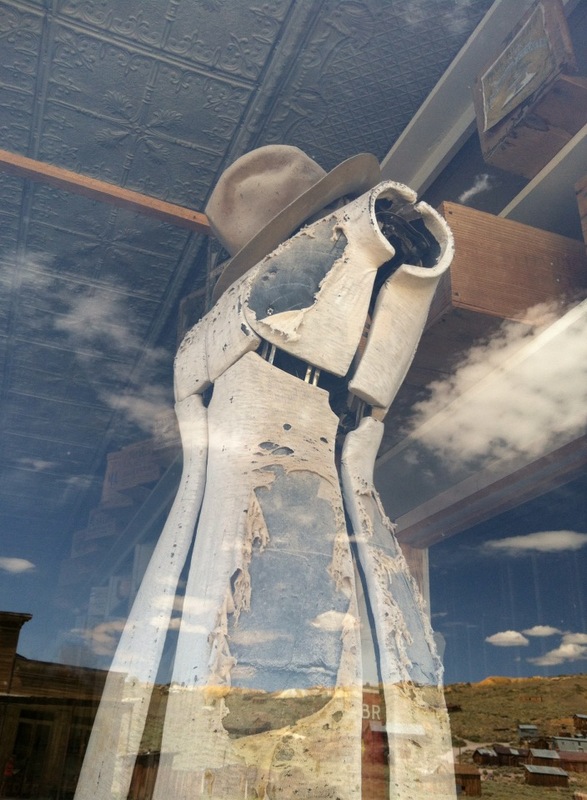 For a time, it was the wealthiest city in the U.S. As with many mining towns, it sprung to life almost overnight and when the mining was exhausted, it died almost as suddenly. Virginia City was an important stop between Denver and San Francisco and was also the town was where Mark Twain first wrote under his pen name (which is Twain; Samuel Clemens is his real name). 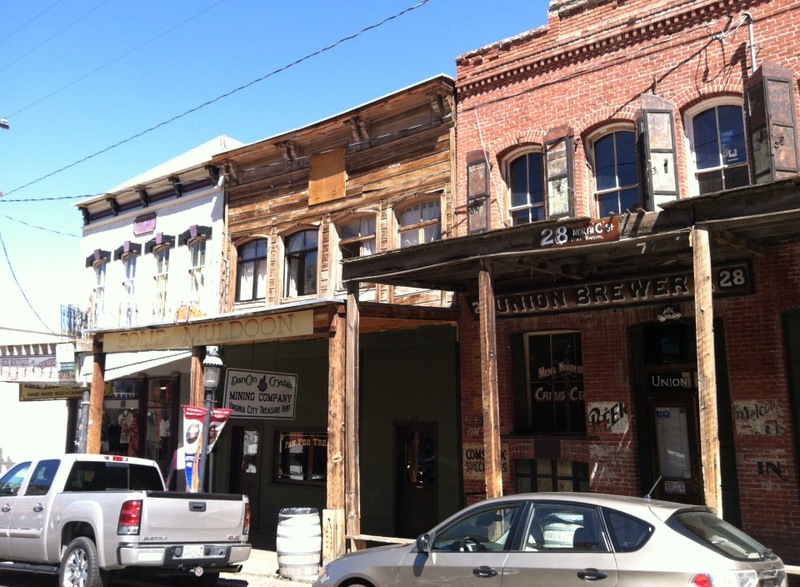 As with many Old West towns, it had its share of saloons, brothels and all kinds of immorality. 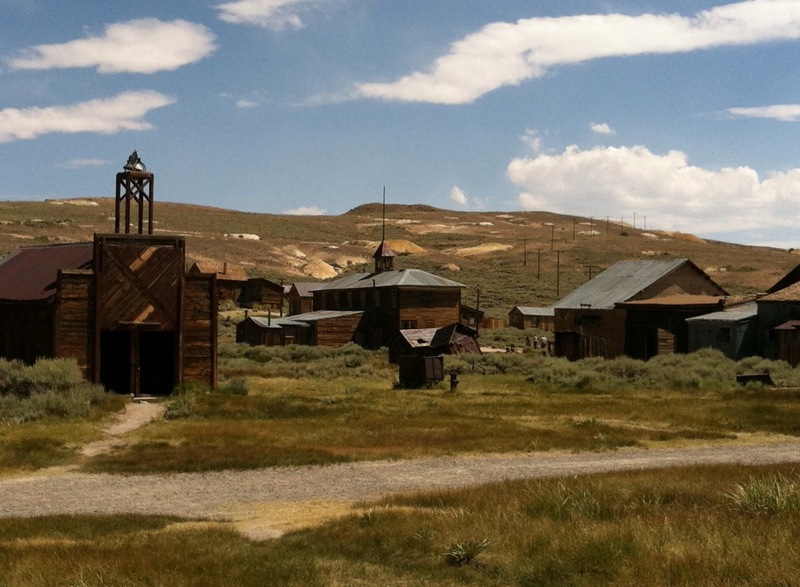 The second Old West town we stopped at was Bodie, California. 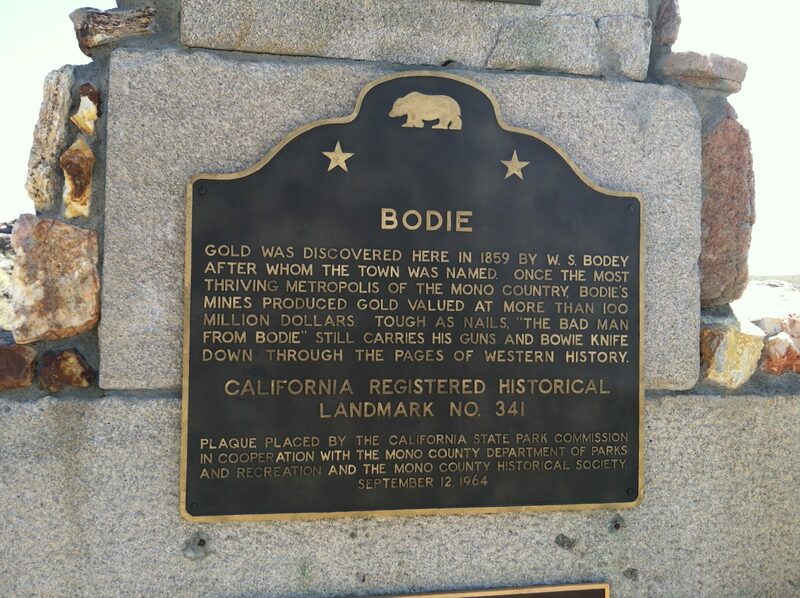 And here are some “fun facts” about Bodie: Bodie cropped up in the same year as Virginia City – 1859. 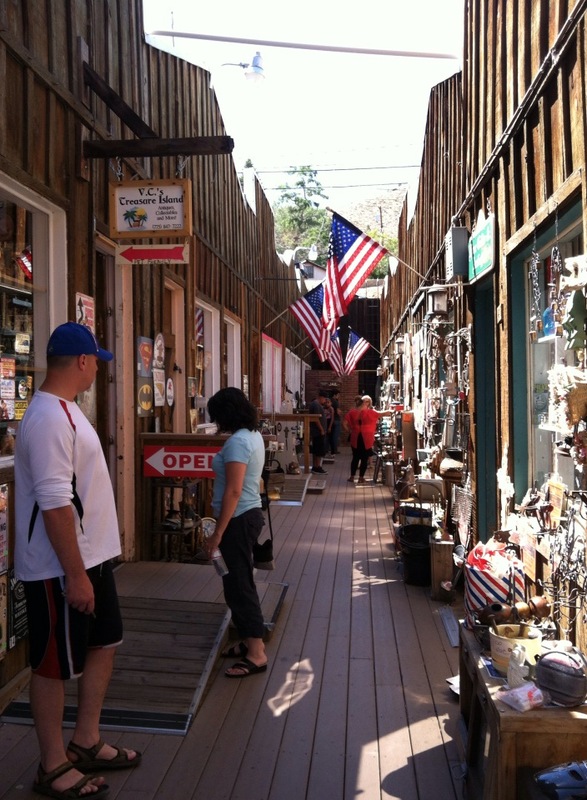 This gold-mining town boomed around 1880, and its population spiked then plummeted after the gold was gone. 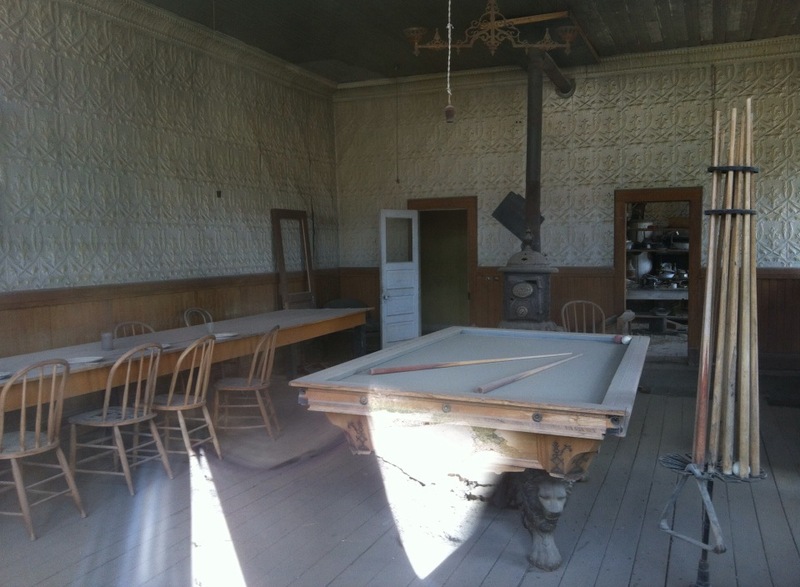 However, Bodie had a notorious reputation for brothels, saloons, gambling halls, opium dens, and all other assortments of evil. 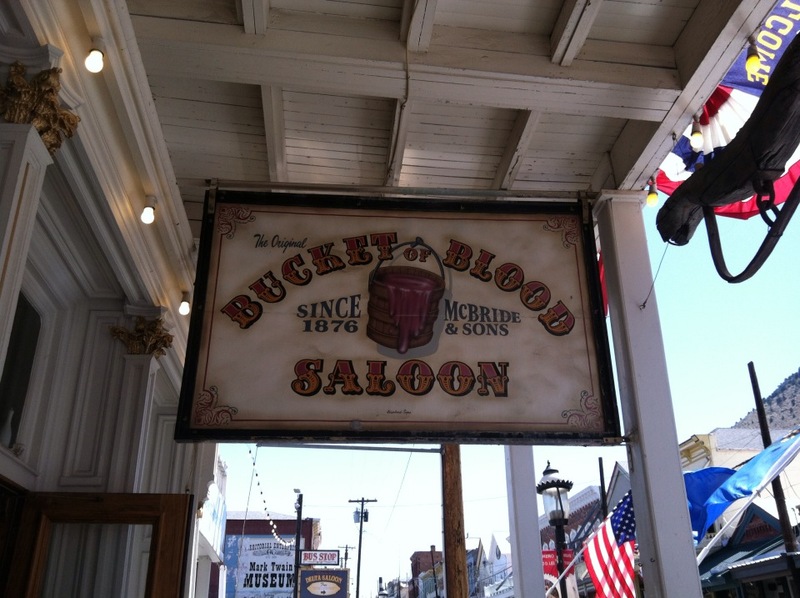 The town was known to have 65 saloons in its hey-day, and murders were just about a daily occurrence. 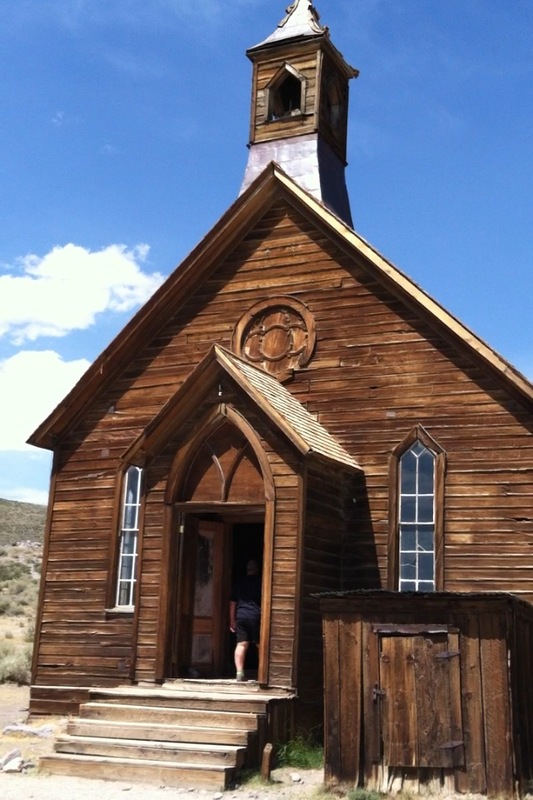 On our way to Bodie, there was a long, winding, lonely road into the hillside to reach Bodie; the last three miles were a rocky, dirt road, with dust swirling and kicking up with every car. 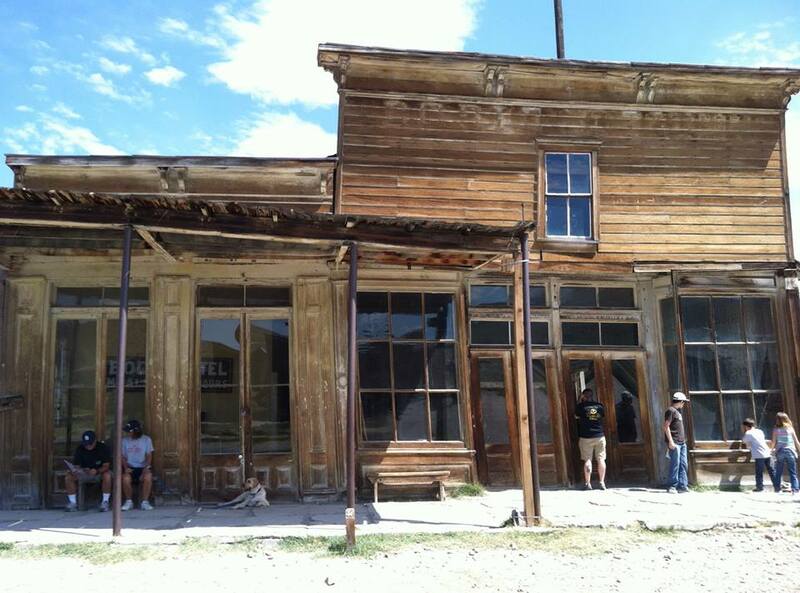 You could almost imagine the horse-drawn covered wagons hobbling into Bodie or the outlaws on horses racing out. 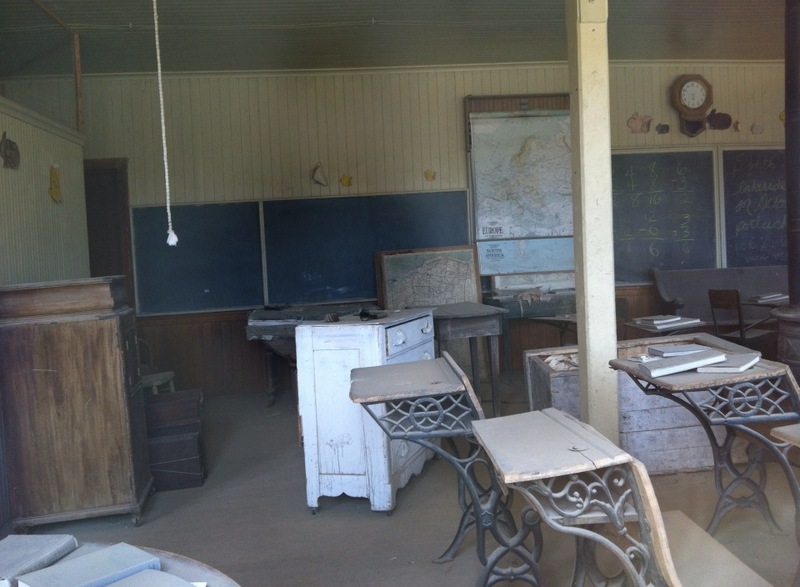 Bodie was different. 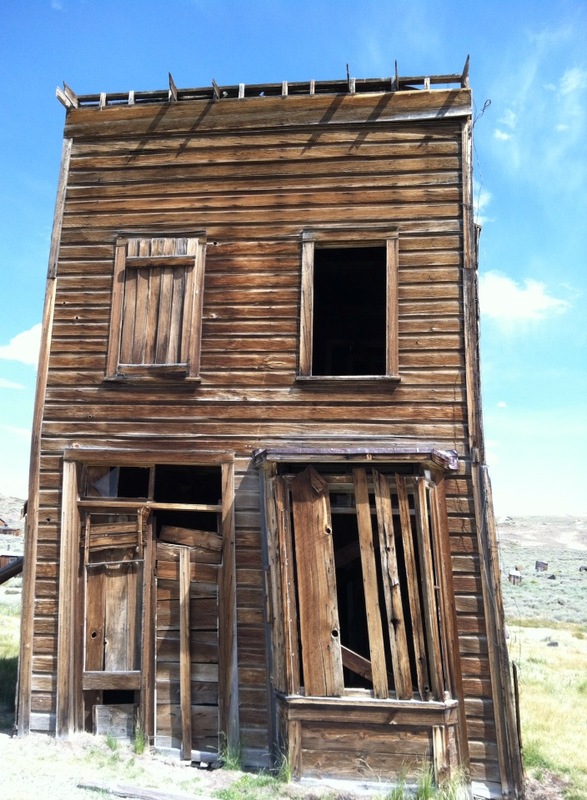 Time stood still in Bodie. 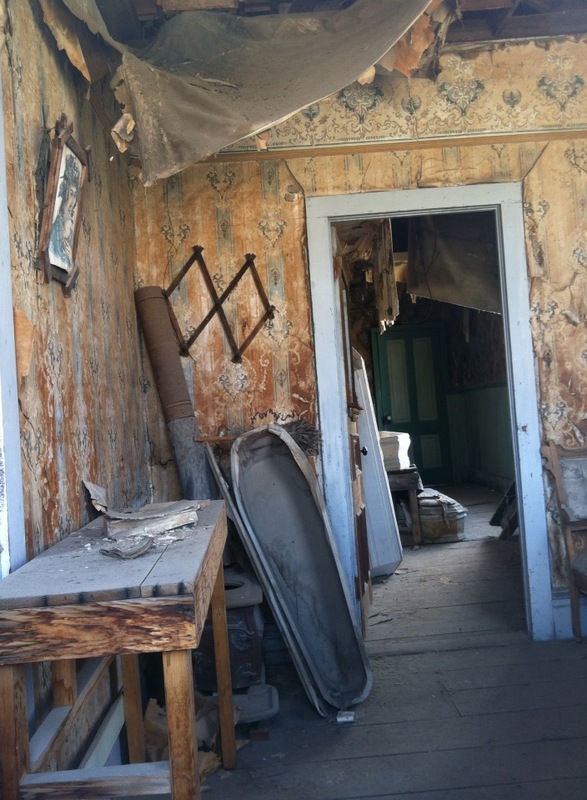 While Bodie is now considered a historical park, the buildings were left in their abandoned condition – a real-life ghost town. The state it was left in had an eerie quality to it, almost as if its inhabitants disappeared mid-activity. 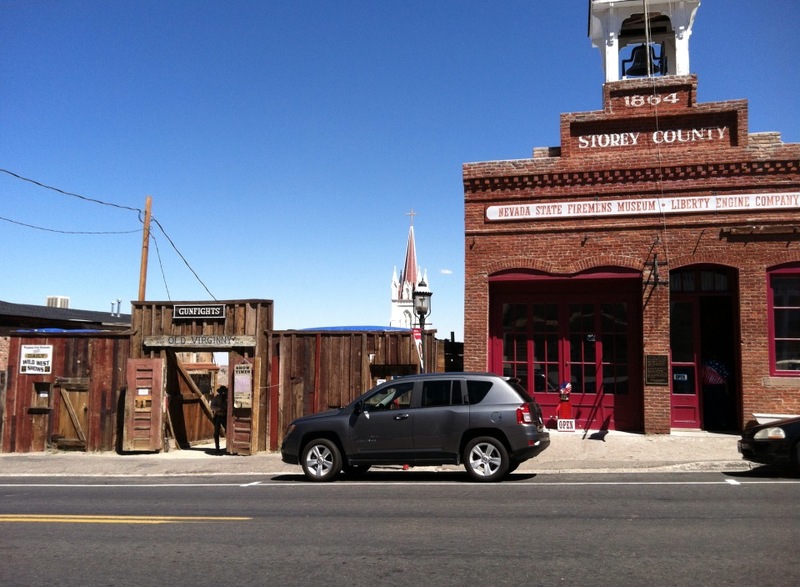 The historians refer to it as being left in a “state of arrested decay.” It was even more ghostly than Virginia City. Yes, that ‘s a coffin. 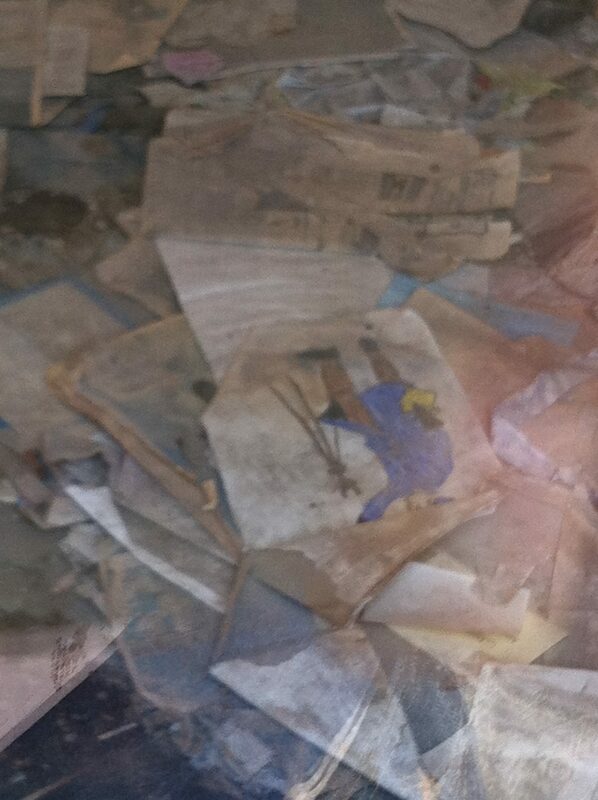 This is the morgue. 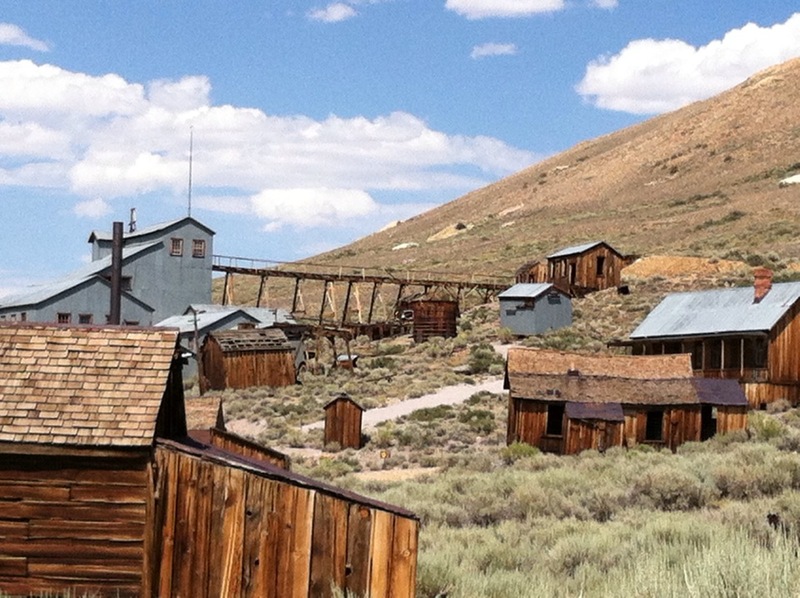 Mike McGowan, the ‘Bad Man’ from Virginia City who came to Bodie and would bite off people’s extremities: ears, noses, and thumbs. 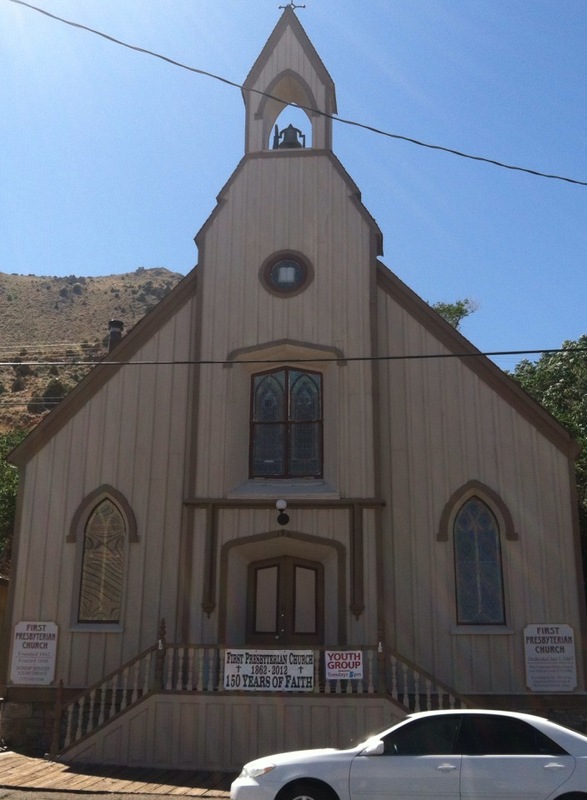 Julia Bulette, one of the first white women to arrive in Virginia City. She was the most prosperous madam and prostitute in VC and was ultimately robbed and then murdered. The town closed down for her funeral, and over 1000 townspeople walked and honored her in her funeral procession. Mark Twain was present at the hanging of her killer. 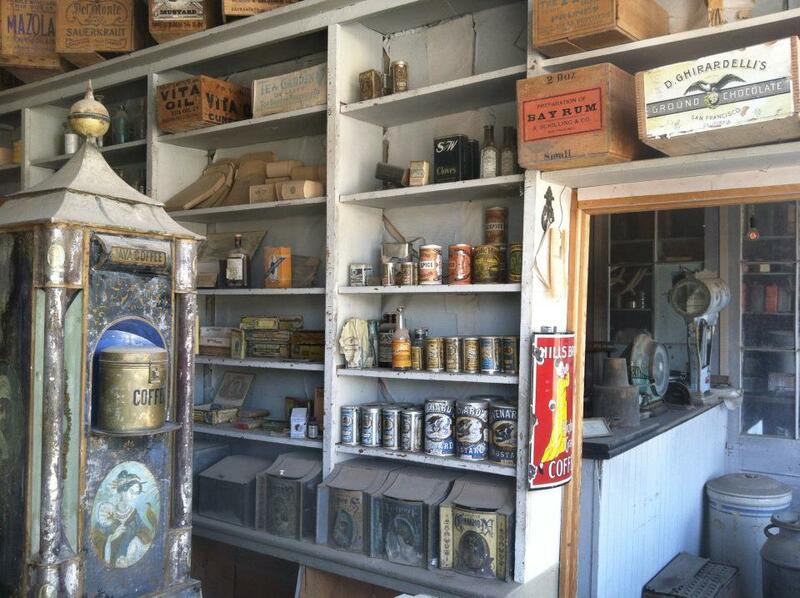 In spite of my somewhat unrealistic fascination with the West, the people who inhabited these places were real. I wondered what they were like. Maybe they went West for the idea of a new start for their families – an chance to prosper and thrive if they worked hard. Maybe some of them were just plain-old opportunists: gold-mining, silver-mining – and yes, even madams of brothels. And I have to believe that some followed the missionary call of God: in this wild, untamed land, more than ever was there not only the need for the message of the Gospel, but a societal standard of morality, which certainly would have had a preserving effect in a place that was so wild and even uncivilized and almost barbaric at times. Regardless of why they went, my conclusion is that these were, no doubt, hard-core individuals – tough, gritty, tenacious. While I may not agree with all the reasons people went West, I have to give them props for taking the risk. As much as I am enamored by the West, I don’t know if my cushy self could hack it. It was a difficult, dangerous and unpredictable journey – and life; it was a taxing existence full of hardship. I admit I am glad the pioneers did. I love the history and the wild stories they left us with, even if it is mostly romanticized nostalgia I take from it. 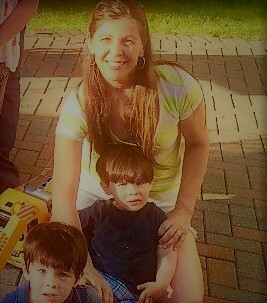 I love what their lives and accomplishments have contributed to our American heritage. And it’s not just that I get to enjoy the West on my vacation. I think those pioneers embody the true American Spirit: courage, tenacity, grit, adventure, hard work, opportunity. In a time when the pendulum of our country swings toward entitlement rather than hard work, grit and the willingness to take a chance with the opportunities available – no, handed to us – I think we can use a little more of the pioneer spirit of the Wild West. 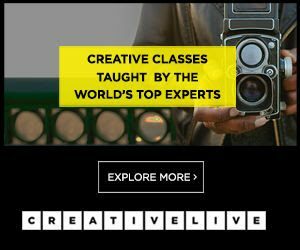 PS – I linked up this post at Travel Photo Monday! I haven't vacationed in this for a while, but now you've got me thinking about creating our own Wild West tour for a revisit. And I am going to check out Hell on Wheels, too! Interesting post. It was amazing! We absolutely loved it! It totally was a throw-back in time. And we LOVE Hell on Wheels. We are torn between watching it in real time or DVRing the whole season and watching it at the end b/c we hate waiting from week to week! It's really getting a good following and it is SO well done. I'm not a huge movie critic, but the cinematography is amazing!